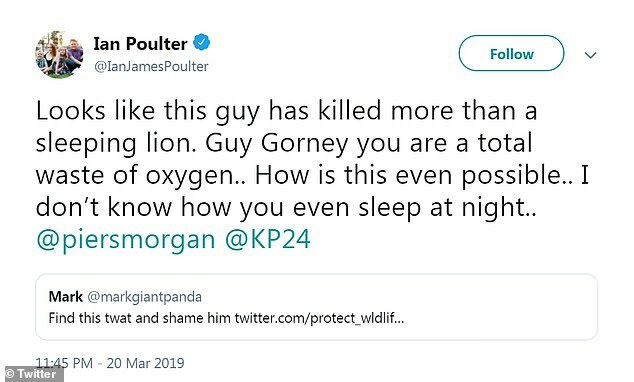 The hunter who snuck up on a sleeping lion and then took three bullets to kill the magnificent beast has shown he is not so bold without his gun. 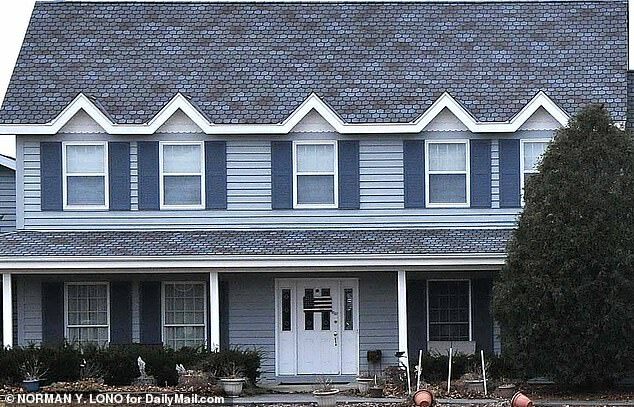 Retired energy company executive Guy Gorney refused even to try to explain why he would kill an animal as it napped when DailyMail.com visited him at his home. ‘I’m not interested in talking to you,’ he said on the doorstep of his half-million-dollar house on the windswept Illinois plains south of Chicago. ‘Private property,’ he added. ‘Take off!’ He then firmly shut the door. 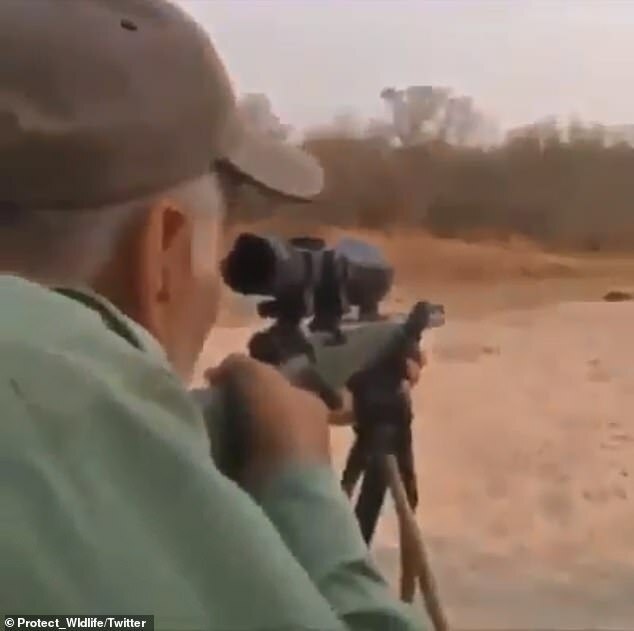 An eight-year-old video of Gorney shooting the big cat in Zimbabwe surfaced this week, leading to outrage that he would kill an endangered animal as it slept. 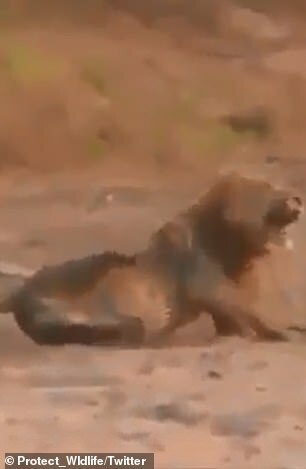 Even as it lay motionless, enjoying the African sun, Gorney couldn’t take out the male lion with a clean shot from his high-powered rifle. Instead it woke after being hit and was seen writhing in agony before he could finish it off with two more bullets. Gorney is then seen celebrating with Mark Vallaro, a professional hunter in Zimbabwe who was acting as his guide. 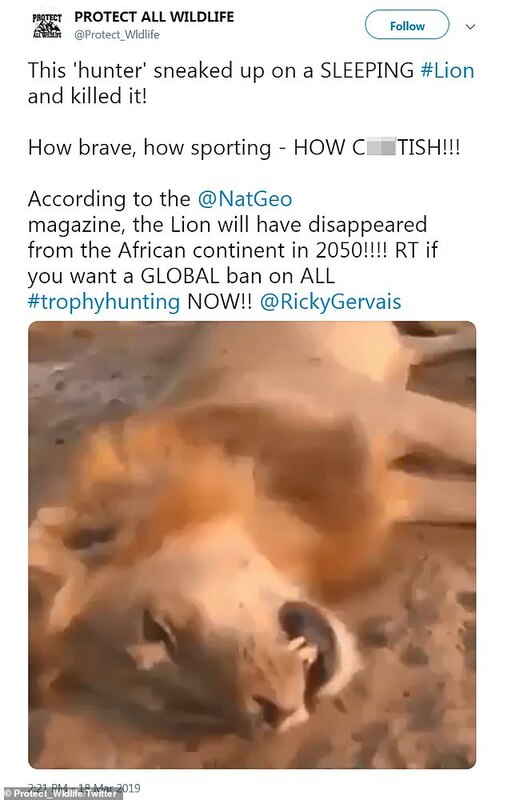 Gorney, 64, has been vilified for his actions, with comic Ricky Gervais — an outspoken critic of trophy hunting — calling him a ‘sniveling sadistic coward’ in a tweet. 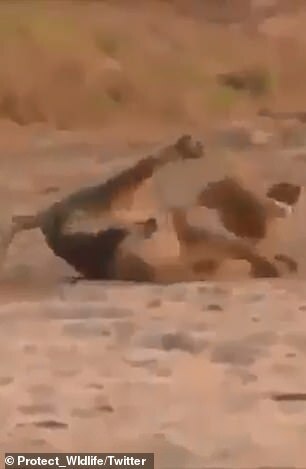 DailyMail.com columnist Piers Morgan said he felt ‘physically sick’ watching the video, saying: ‘Only someone with a severe mental illness could possibly enjoy doing what you did to that poor unconscious lion. Gorney lives in a five-bedroom home in Manhattan, Illinois, a wealthy village 50 miles southwest of Chicago. 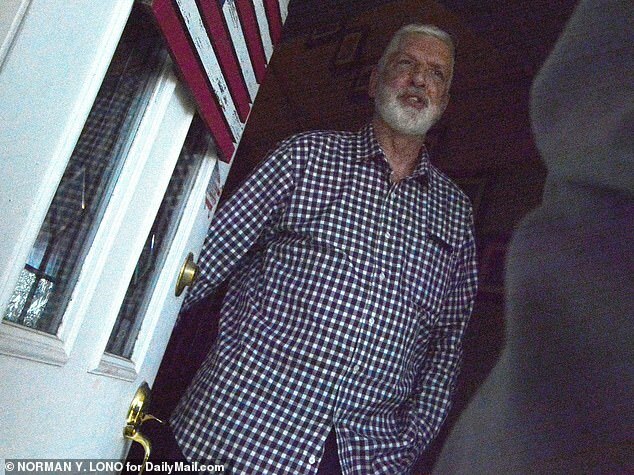 A large wooden American flag hangs on his front door, along with a religious message. Two SUVs and a pick-up truck sit in the driveway with a large RV in the back yard. 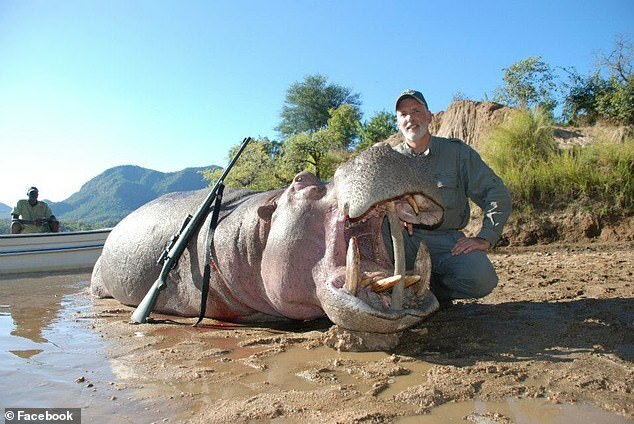 He has visited Africa several times to kill big game, once boasting that he has bagged all of the ‘big five’ animals that are said to be the most difficult to kill on foot — the lion, leopard, rhino, elephant and Cape buffalo. Of the five, the buffalo is the only one that is not endangered. ‘You can say, why’d you shoot a lion?’ he said during a 2015 interview with WBBM-FM, a radio station in Chicago. However, his Facebook page, which he has now taken down, contained a photo of a zebra’s head in his vehicle with the caption: ‘Now how did this get in my truck? A picture of his ‘trophy room’ showed 17 stuffed animals and two zebra skins. 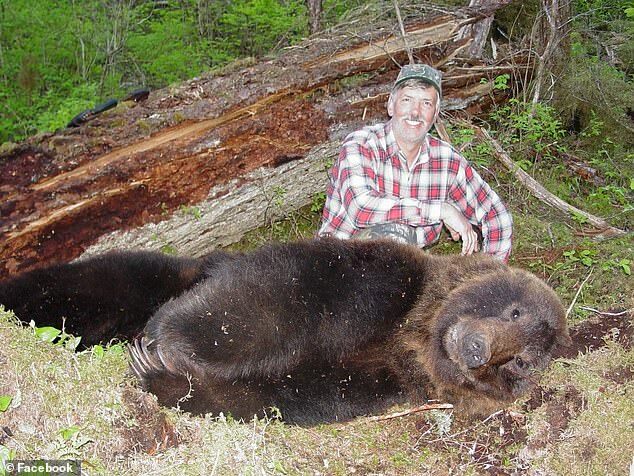 He admitted in the old interview that his hunting is mainly for the thrill of the kill. 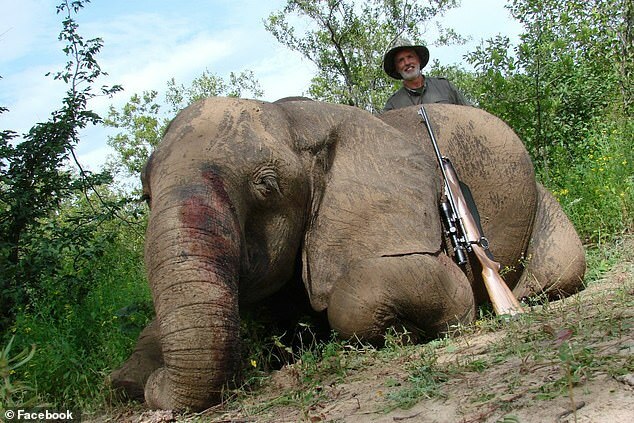 ‘I really like hunting elephants,’ he said. ‘They’re difficult to track down. They’re incredibly dangerous. ‘The first elephant I got, I walked over 120 miles tracking elephants before I actually caught up to him and found him. Gorney said he had a hard time understanding why people could accept deer hunting in the United States but not big game hunting in Africa. He did not address the question of deer normally being killed to be eaten while big game is usually just for the trophy, or the fact that most species of deer are not endangered. Gorney even invoked the memory of former president Theodore Roosevelt during the interview. ‘When I killed that buffalo that had hurt somebody, the people that had benefited from the death of that animal cheered. Clapped. Last year Gorney got up during an open mic night for authors at the Book and Bean Café in Joliet, Illinois, a few miles from his home, where he said he ‘travels’ a lot’ and writes journals. As he sat in a tree waiting for the lion to attack an animal he was using as bait, he heard a noise behind him and furiously began to plan in his mind how he was going to kill the lion if it attacked. But the story ended when the animal that approached turned out to be merely a porcupine. He did not say whether he killed it anyway. 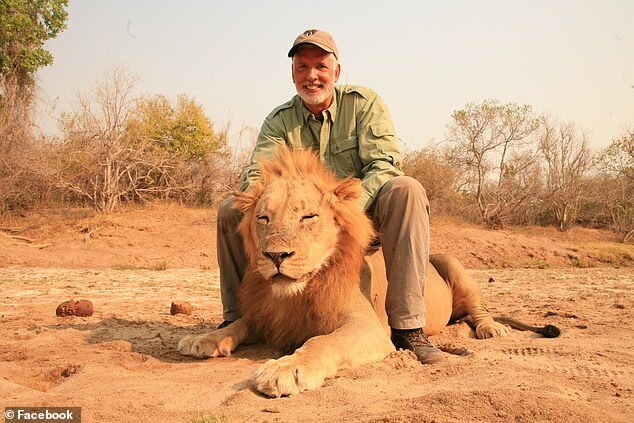 Since the furor caused by the newly released video, Gorney has taken down his Facebook page which showed him with his kills, including one of him straddling a lion while wearing the same clothes he had on in the video. That was in stark contrast to 2015 when he told WBBM’s Steve Miller he would not remove the page due to public anger. ‘I thought about taking it down, but I really have a problem changing my behavior over people that are just over the top,’ he said. 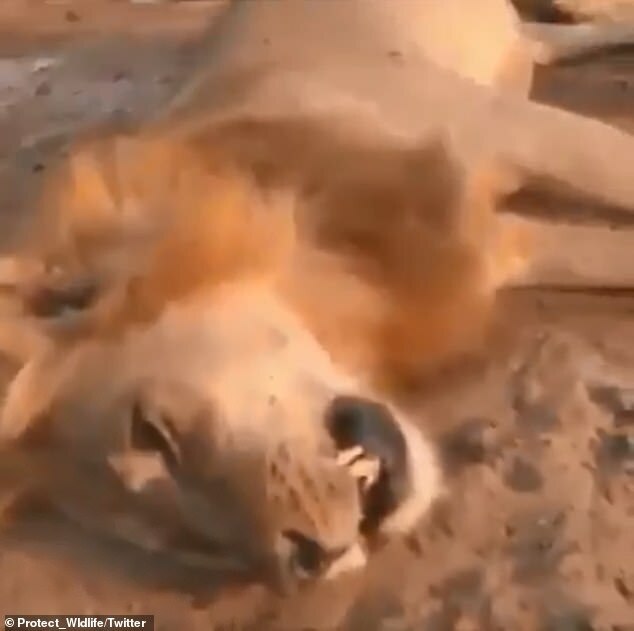 Many Twitter users called out the ‘cowardice’ of attacking the wild animal at rest. ‘A sleeping lion, wow what a big man!’ wrote one user, alongside an angry, cursing emoji. 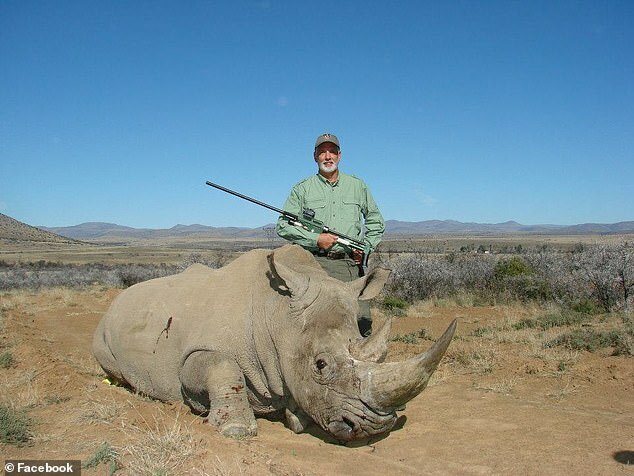 Many expressed their objection to trophy hunting in general, regardless of whether the animal was asleep at the time of its killing. ‘This is not hunting, or sport…it’s murder #stoptrophyhunting #Fightforyourworld.’ user @verdiKate wrote. ‘Even if it was awake, the Poor Animal Shouldn’t be Killed AT ALL!!!!!!!!!!! EVIL B*****D!!!!!!!!!! [various emojis],’ wrote another user. Others suggested penalties for the actions of Gorney as shown in the video. ‘In my book that should be 5 years in jail. Grotesque,’ one user wrote.